scan bubble sheets from your iPad, and start pinning standards-aligned resources. 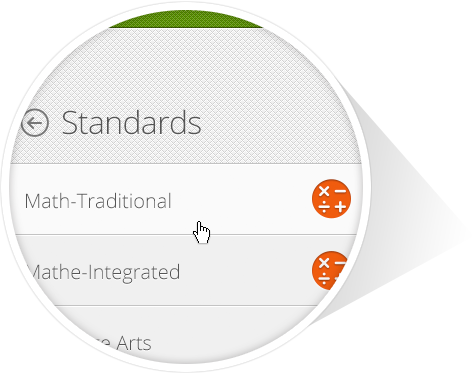 Access Common Core standards anytime, anywhere. We've made it easy to reference standards from any mobile device. Deliver assessments that you create on any tablet or mobile device. Provides students with immediate feedback. View student results, scan bubblesheets, capture evidence, and deliver assessments with any mobile device. Put the science standards in your pocket. Provided in partnership with the National Science Teachers Association. An App for Every State. We’ve launched a FREE State Core Standards reference app for every state & D.C. Download your state app and have your State Core Standards right at your fingertips! 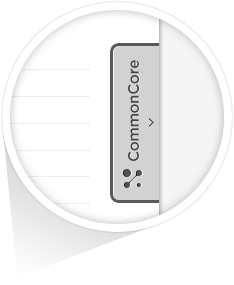 Put the Common Core on your Website in a Snap! Use the pull-out app widget or embed the app in a page on your site or blog. Embed the Common Core app right into your blog or single page of your website (like a youtube video). 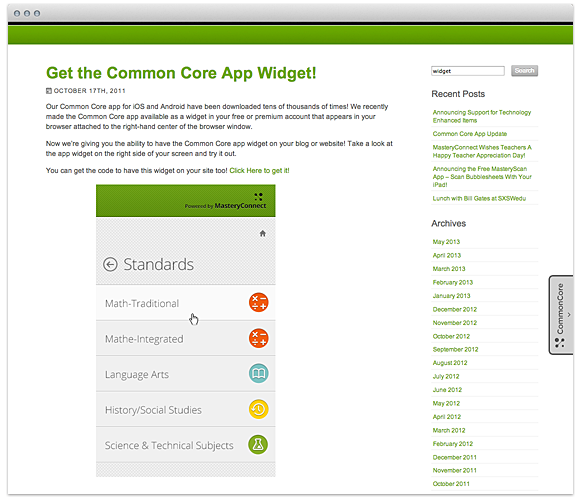 Get the Common Core widget on all your website's pages. Give our example a try by simply clicking the CommonCore tab to the right. With familiar pinning tools, easily find resources that have been aligned to both state and Common Core standards. 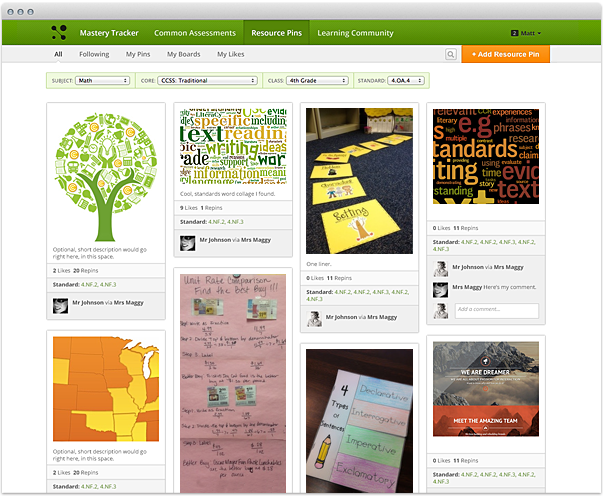 Upload your own resources to curriculum maps and share pins in student playlists. The Pin Resource button (a bookmarklet) lets you easily pin resources you find on websites and blogs. Drag the orange button below to your toolbar—then click it when you see an image or video you want to pin! The Pin Resource button for Chrome lets you easily pin resources you find on websites and blogs. Click Install Now to add it to your browser, and then click it when you see a resource you want to pin!